MWM NEWS BLOG: Love At First Sight. 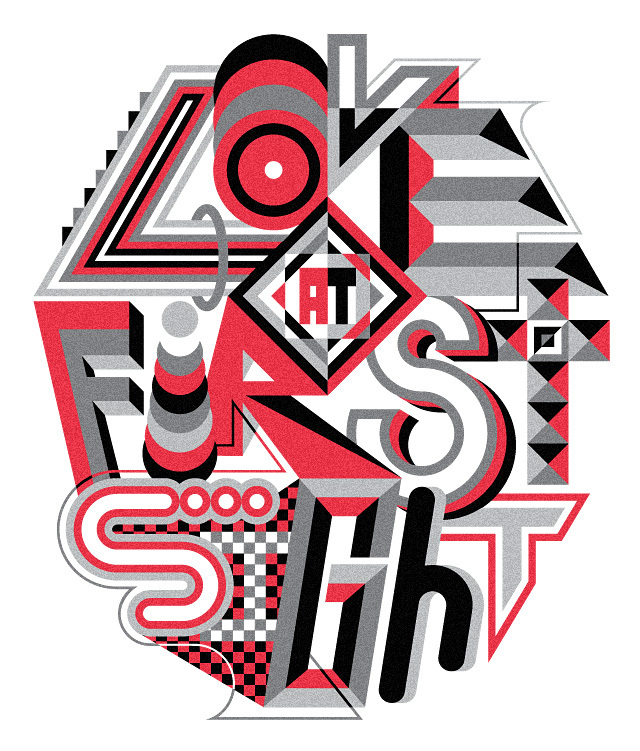 The good folks at Finish Line commissioned me to design this 'Love At First Sight' type-jam for a very limited run of tees that were sent as gifts to 30 of the most influential sneaker collectors across the globe. Each of the recipients took part in an Interview Series earlier this Summer that asked them to reminisce on their first knock-out pair of kicks. For the design I was asked to create a chest hit, In Just 4 Colors, in my signature (semi-cryptic) Type-Jam Style. It's always fun to build these lock-ups. Big Kid Tetris. Big Thanks to Jeremy and Co. This was a lot of fun and the jerseys look Great!